RabbitMQ 3.6.3. Copyright (C) 2007-2016 Pivotal Software, Inc. Assertion failed: (ctx), function digest_update, file /BuildRoot/Library/Caches/com.apple.xbs/Sources/boringssl/boringssl-109.20.5/apple/crypto/digests.c, line 49. /usr/local/sbin/rabbitmq-server: line 236: 2681 Abort trap: 6 start_rabbitmq_server "$@"
I narrowed down the issue to a problem with Home Brew. 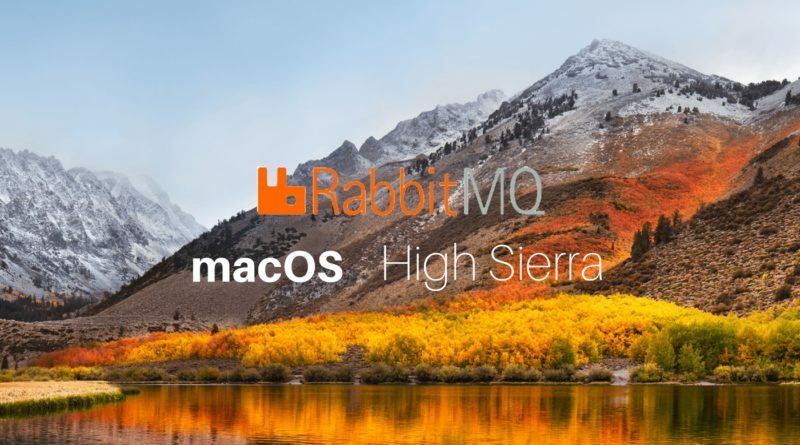 I had installed rabbitmq via HomeBrew a while back and with the changes in the operating system rabbitmq was failing to start. Once done you must be able to run rabbitmq-server to get the server up and running.